Oh no! Now the IKEA obsession reaches out beyond the home into the workplace. The NVO was so kind as to let me take the rosemaled clock he made from this post, to work, and that's where I received the inspiration for the color scheme. at the delightful Karin aan de haak blog. It's in Dutch but with the combination of translator and the photos it's easy to follow. This photo is from the back side showing the "lip" that fits over the cushion. Do you like dealing with this part as much as I do? Why do I forget to crochet the ends in as I go? My boss lady let me choose the paint color for the former closet converted into my office. Benjamin Moore "White Satin" was the color, of course. better not wear pj's by accident. Your colors just sing out to me with joy! I can't get enough of a sugar candy high until I visit you. Beautiful cushion! I like your suggestion to pair my Rose Garden throw with Jingle Bells and Candy Cane throws. I'm off to take some photos!!!! How "sweet" is that! I am excited to see your paired photos. Love the chair cushion. You have such a flare for color. So happy, cheerful. Brings smiles to any day! Your comments bring happiness, cheerfulness and smiles to my day! I love the pattern. - will be checking out the link now..! Thanks Annaboo. :-) The link has the most lovely cushion. A week of enjoyment to you, as well! That's a beautiful cushion. I will tell you a secret... sometimes, when I've crocheted a cushion cover, I don't sew in the ends at all. No-one can see them, after all! Beautiful as usual, I love the colors!! That is a wonderful idea... bring a little home to work... Maybe others at work will do the same and make it a cozy little place to work..Shari!!!! Very nice job Chris and thank you for the nice compliment. I have added your beautiful set to the CAL page at the top of the post. The rose brooches sound lovely! Let me know if you ever post a photo of one. How nice to have a little piece of home at work :-) I love the colors in your cushion cover. I'm also terrible about sewing in the ends as I go. Why do we do it?! You are right, Kate. It is nice to have a little piece of work at home. Ha, ha..yes the ends, the bane of the crocheter's existence! I really like that pop of orange. A great colour combo all around. Someday I must do something in purple, as I really like that color too. It's been a newly added wardrobe color and it's so....regal. :-) I picture it with orange, pink and green.....hmmmmm....a new project may be in the wings now that I think of it. Most of the folks I work with wear scrubs to work so I suppose they are already in PJs, but my job is non-clinical so I am not allowed. Darn! I like the Friday idea though. 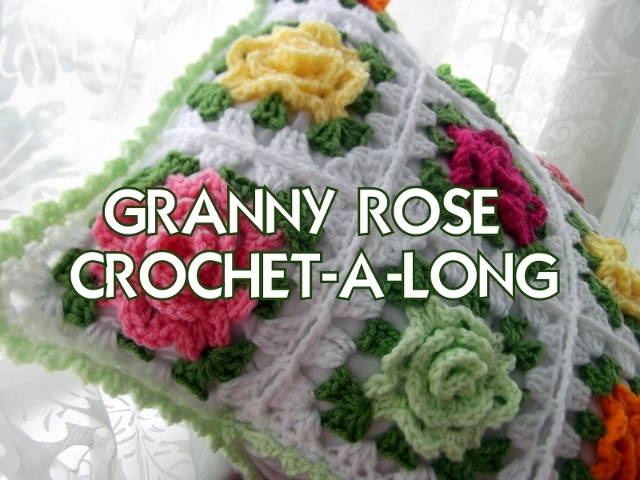 I love your latest crochet creation, the colours and pattern are gorgeous! I had to laugh about the ends as I do exactly the same thing and I always get annoyed with myself for not tidying them as I go. Thank you for your sweet comment, and wishing you a week of fabulousness (probably not a word)! Your cushion slip cover is fabulous, great colour combination! I'm surprised and glad at the same time you managed to translate the Dutch crochet abacadabra. Some blog visitors complain they don't understand a word of it. Perhaps since I sort of speak Norwegian and I have a good friend who is Dutch as well as a friend who is Flemish that speaks Dutch, it comes a little easier for me? I don't know. Mostly your beautiful photos helped me. I love your blog and look forward to continuing to follow your adventures. Oh no, I am so busted! You are so wonderfully talented with your use of colors. 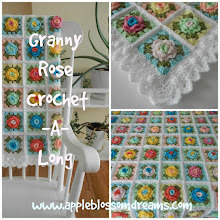 Love love your blog and all the wonderful projects and inspirations that you create. 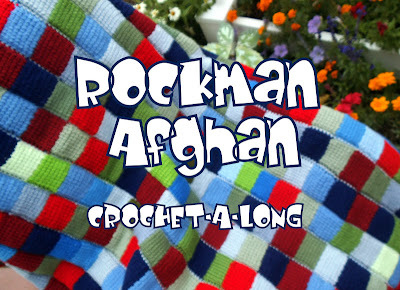 I live in a Senior Citizen Co Op and thinking about using these colors to make a pillow and afghan to raffle off here. Thanks for the great ideas. Wow.....adore this Astri! Fabulous pattern....I'm going to have to give this a go for sure! Perfect match to your clock!